Nokia is here to compete with it mate up to the steep side, just some days ago we heard about Nokia X5 that will be released this week. It seems Nokia is focusing more on X series now than ever, the latest news dish out was the coming of another X6 or Nokia 6.1 which was announced by HMD Global. It was said to be coming with advance features in fact is going to be one of it kind ever to have notch display. Intial plan was to remain the smartphone to be a China-exclusive product but later change their mind to be Globally launch. The first of this product will be debuted into Hong Kong market on July 19 and up to the gobal. 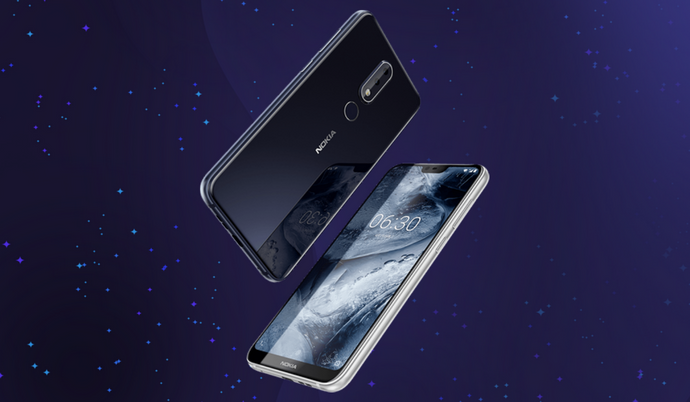 Nokia 6.1 Plus is still the same as Nokia X6 for as many that may be getting it wrong, Nokia have not change any features as released sometimes ago expect the name. As I said earlier the features hasnt change for any reason, what you saw sometimes back still the same, it has 5.8 inch display with full HD+ screen resolution, at least wide enough for game lovers, 19:9 aspect ratio and a cutout on the top. It is powered by Qualcomm Snapdragon 636 chipset for high end performance supporting multaitasking activities. Now, this is coming in three variants, the fact remains that all comes with very nice RAM and Storage. 4GB RAM + 32GB storage, 4GB RAM + 64GB storage, and 6GB RAM + 64GB storage. Taking clear selfies and video calling has been made easy with it front camera of 5MP and main camera of 16MP. Nokia 6.1 plus will be running on latest Android 8.1 Oreo which may recieved update some months after it launch. It manage fingerprint scanner and face unlock for it maximum security. Nokia X6 will be coming with 3,060mAh to complete it specs, don't be discouraged with the battery , Nokia phones always have good battery, so you dont have to consider the number written at the back. The price will be determined by the capacity and RAM speed, 4GB RAM/32GB storage will be Rs 13,800 (~N72,500) , 4GB RAM/64GB storage will be Rs 16,000(~N84,000). On the other hand, the 6GB RAM will be Rs 18,100(~N95,000).